It’s just a landing page for now that allows you to register for… something. We’re assuming this site is the rebel’s new web address of choice for revealing public messages. It’s no longer just about District 13 any more, so I guess District13.co.in will lie dormant in the graveyard of past movie campaigns. We love getting new content, but we have to ask DO WE REALLY NEED ANOTHER WEBSITE? Silly us, of course we do. 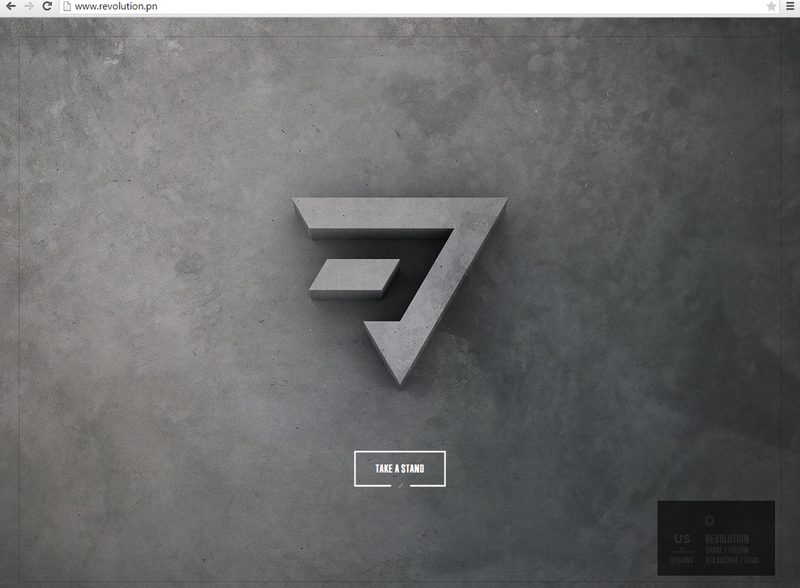 Lionsgate marketing really loves websites. So we’re getting another. Let’s hope there’s some great, fun stuff waiting beyond the landing page. But we didn’t despair at the “gray wall of new logo” for long, because the reveal of the new website of the revolution was just an appetizer for the main reveal of the day. Yes, friends, THERE IS ANOTHER POSTER. The fiery Mockingjay no longer flies alone. 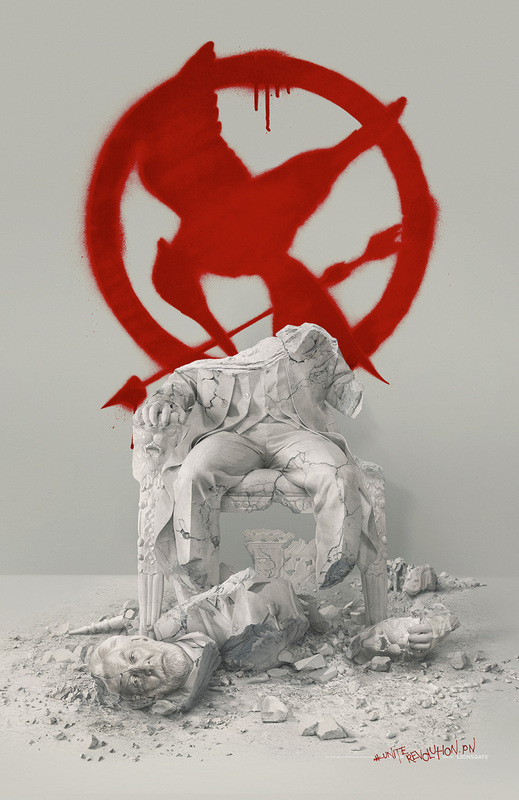 It’s a pretty cool visual – Snow and his empire are busting apart at the hands of the rebels – and it pairs nicely with Mockingjay Part 1’s Capitol Propaganda poster. We’re so relieved that it looks like Mockingjay Part 2 promotion may FINALLY be picking up. This new poster and website make us anxious to finally see some STILLS and a TEASER TRAILER for the film. You know, something truly from the upcoming film. The visuals of Katniss, Prim, and Effie revealed from Tim Palen’s book, and now this poster may be a part of the Mockingjay Part 2 campaign in Lionsgate’s mind, but we’re hungry for something that is uniquely PART 2. Yes, we want a revolution.